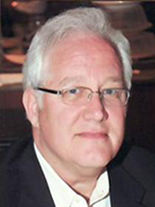 Barrett has a master's degree in Electrical Engineering, and, as president of Link Systems in Nashville, TN, oversees a provider of state-of-the art press-control systems. 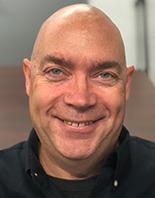 He has 25 years of experience designing and applying safety, control and automation equipment for the metal- stamping industry, and his company is a long-time member of the Precision Metalforming Association. Tim Barry spent 25 years as an automation/controls/drives engineer for an OEM supplying pressroom equipment to automotive and tier companies. For the last 6 years, he has worked in business development for the Siemens Metal Forming/OEM group/Digital Factory. For the past 28 years, Chamberlain has worked in the metal-stamping industry, with his career path taking him from sweeping floors, to CNC programming and operation, and to die design, build, and tryout. Over the past 18 years, his focus has been on developing software and consulting with companies in order to improve their efficiency. He's responsible for the creation of the 3-D Power Catalog and Template System used throughout the industry to automate tooling design. Chamberlain has had the opportunity to work with companies ranging from small build shops to Tier-One suppliers and OEMs. As the lead developer for T-SIM simulation software, he has spent more than 20,000 hours researching and developing methods to increase productivity in manufacturing. Much of his time has been spent on stamping-plant floors optimizing tri-axis, crossbar, and press-to-press transfer systems. He is a member of the Kent Career Technical Center's advisory committee for Precision Machining, and has a passion for encouraging young adults to consider a career in the metalforming industry. David is a third-year PhD student at The Ohio State University and has been an associate researcher at the Center for Precision Forming under Dr. Taylan Altan's direction since 2015. 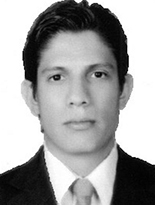 He has a Master's degree in Mechanical Engineering from the University of Guanajuato in Mexico, and has been Involved in numerous metalforming projects, mainly focused on edge cracking, use of servo technology, and lubricant performance in stamping operations. He has applied, in 2018, for a patent in Mexico titled, "Device and methodology applied to roller hemming operations." 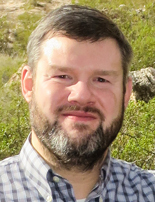 McGuire joined Aleris International in 2015 at its North American Innovation Center, where he leads the Research & Development and Applications Engineering teams. His teams focus on supporting the innovation and development of the next generation of aluminum vehicles. 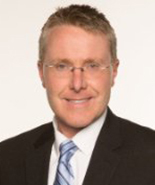 He began his career in the late-1990s at Ford Motor Co.'s Rouge Steel division as a stamping development engineer working on design and development of advanced-high-strength-steel applications. He then spent five years as part of the U.S. Steels automotive R&D team working on development of optimized steel-closure designs, earning several key technical awards for his work. 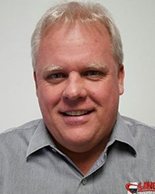 In 2005, he moved to DaimlerChrysler and progressed through numerous R&D and engineering management assignments in the Advanced Stamping Engineering division, ultimately becoming senior manager of quality and engineering for the company's Warren Stamping and Assembly complex. McGuire possesses a bachelor's degree in Metallurgical & Materials Engineering and a master's in Automotive Engineering. Stevens leads several projects across multiple companies, each with specific objectives. Examples include leading tooling initiatives, deploying lightweight materials in sheetmetal stampings, implementing new joining techniques for assembly, and deploying new technologies such as press-hardened steel and aluminum. He came to CAR after five years as the vice president of manufacturing and engineering at Diversified Tooling Group. A Detroit, MI, native, Stevens has more than 40 years of experience in the tool, die and stamping industry, and holds a bachelor's degree in Industrial Studies and a master's in Manufacturing Management. He held numerous assignments in Manufacturing Engineering for General Motors, developing and implementing the math-based systems for die engineering, design and construction. He retired from GM in September 2009 after 32 years of service. Stirrett has been with Linear Transfer Automation for 20 years, during which he has written and spoken extensively on servo-transfer technology, press-to-press automation and destack blank-feed systems. His primary experience involves the automotive sector at the OEM and tier levels, but he's also been involved in many unique non-automotive stamping projects. 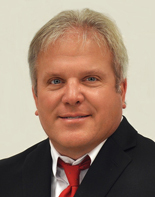 Todd Wenzel is president of TCR Integrated Stamping Systems, Wisconsin Rapids, WI. TCR provides consulting, service, and sales and turnkey installations of capital equipment for hand-fed, progressive-die and transfer stamping applications. While the bulk of the work performed has been in the upper Midwest, TCR provides its services all over the United States, and in nine other countries as well. Its systems have been used to produce everything from microscopic medical components to large stampings for the heavy-truck and earth-moving equipment industries. 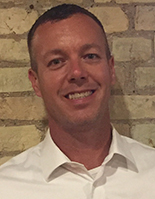 Wenzel has been a technical speaker for the Precision Metalforming Association for more than a decade, including holding one to two seminars a year to support and help train companies in the stamping industry. 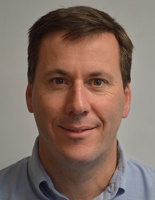 He also is a frequent contributing writer for MetalForming magazine, covering a variety of technical topics. His decades of experience with specifying and installing a wide range of turnkey production systems has provided a wealth of practical experience that Wenzel gladly shares with his audiences to help them become even more competitive stampers.